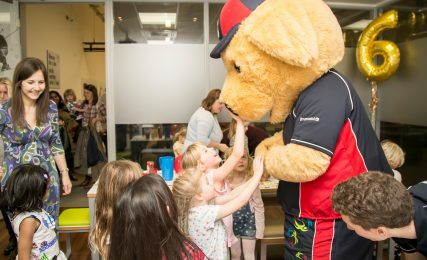 We do love a birthday – and we’ve hosted quite a few parties! 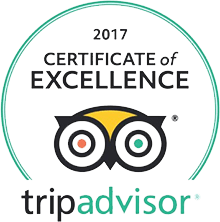 So if you’re looking for the right venue for a birthday party or celebration for a special occasion, give us a call or email us. 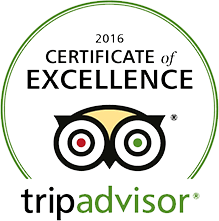 We’ll be happy to put together the perfect package for you. You can either focus on one activity, or mix together a number of experiences with optional food choices. Whatever you prefer, we’ll ensure it’s an occasion to remember, with your own designated host. 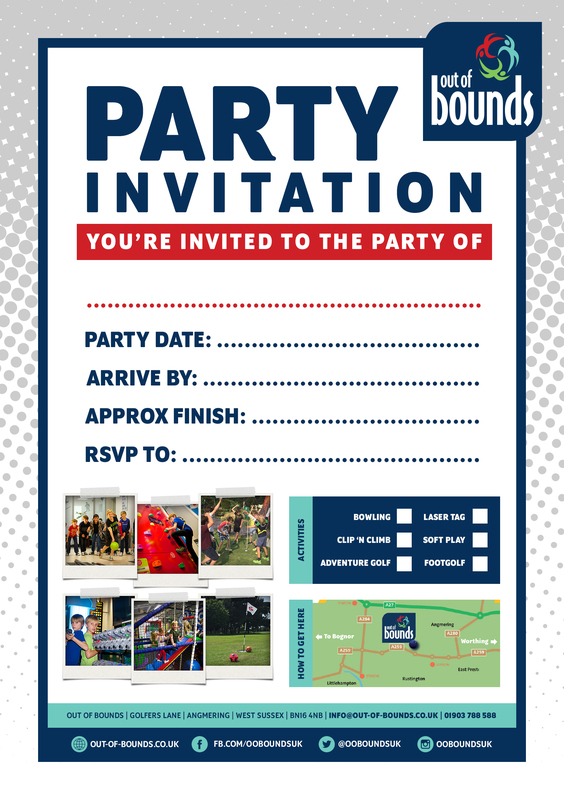 You can even print your own customisable party invitation to let everyone know about your party! Party bookings must be for a minimum of 10 people for weekdays and 12 for weekends. Exclusive use parties are also available, ask us for details. 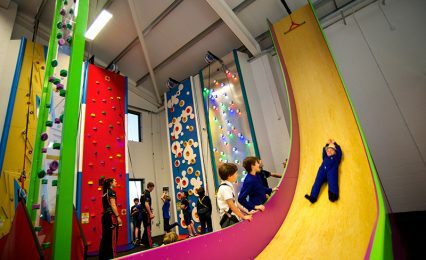 Exciting, challenging and healthy fun. 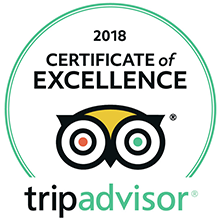 An action packed and fun filled experience for everyone. Minimum of 22 participants required for Exclusive Use and maximum participants is 25. 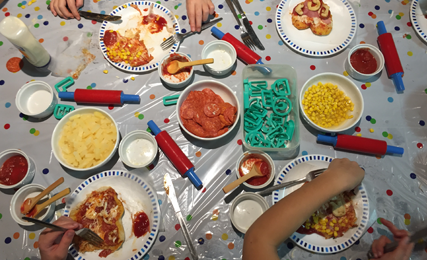 Party hosts are included exclusively for food on weekday parties. Minimum of 10 participants is required for weekday parties. Weekend prices apply during school holidays & public holidays. Minimum of 12 participants is required for weekend parties. 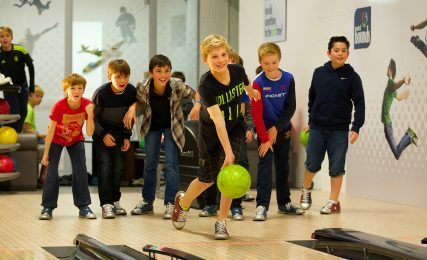 You’ll be bowled over by our brilliant bowling party. Share celebrations and enjoy healthy competition with your friends at the ultimate Bowling Party Venue. 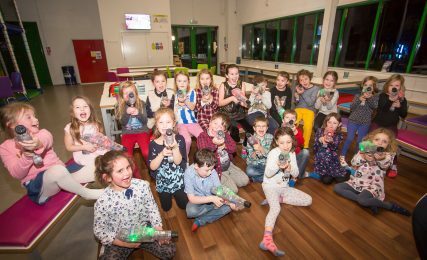 Our extensive and exciting soft play arena transforms into the ultimate laser tag zone for your party warriors! Minimum of 24 participants required for Exclusive Use and maximum participants is 30. Party hosts are included exclusively for food on weekday parties. Minimum of 12 participants is required for weekday Laser Tag parties. Weekend prices apply during school holidays & public holidays. Minimum of 12 participants is required for weekend Laser Tag parties. 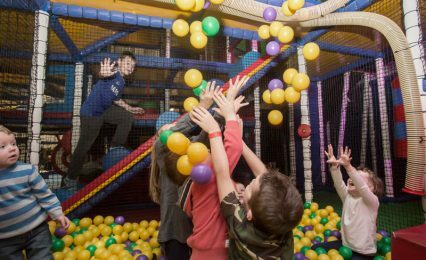 Come and play, learn and most importantly have fun at an Out of Bounds Soft Play Party. 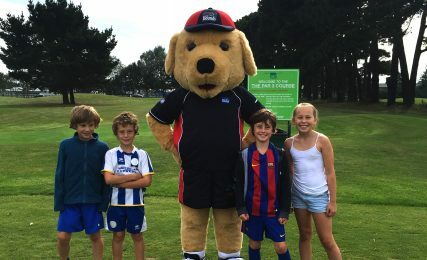 Combining the best of football and golf into one brilliant game! With two of the most popular sports in the world, you’ll be sure of a great party. 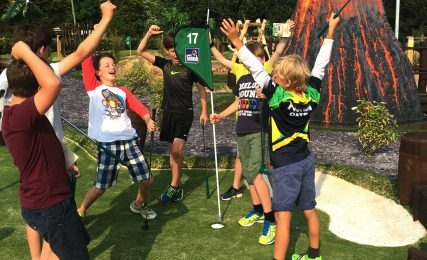 Action packed with so many surprises, the excitement of our Adventure Golf course makes for the perfect party! Calling all chefs, join us for a slice of fun! 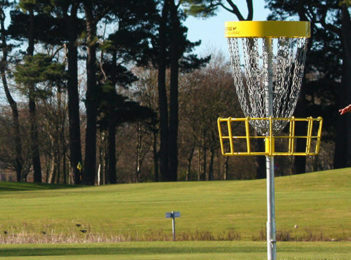 Everyones favourite game of frisbee combined with golf for the perfect active birthday activity!